Welcome to the Krewe of Pandora! We are a fun, friendly, and engaging all-female Mardi Gras Krewe right outside of New Orleans. We are the jewels of Jefferson Parish and we are thrilled you are here. The ladies of the Krewe of Pandora staged their first parade in February 2016 and had an amazing ride! After taking 2017 off, the new krewe staged its second parade on February 11, 2018, and its third parade on March 4, 2019 with all the fun and pageantry that comes along with Mardi Gras. 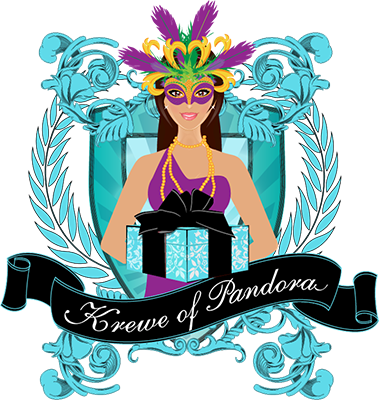 More than just a parade, the Krewe of Pandora hosts different social events throughout the year that are optional for members to attend. Members get to meet new friends and have a fabulous network of sisterhood way before the day of the ride. The Krewe of Pandora's signature throw is hand decorated glittered boxes. These special treasures for the revelers to catch is always a great excuse for members to get together for decorating parties. There really is no better feeling than riding on top of a float and being a "rockstar" for a day. Everyone screaming for you is an unbelievable feeling that just can't be put into words. Riding in a parade is a wonderful experience that all women should get to do at least once! If you have been looking for something fun to do with your girlfriends the Sunday night before Mardi Gras then look no further! All ladies 18 and over are invited to join in our 4th Parade. Click the Join Today! button below to join our elite krewe. WE ARE THE KREWE OF PANDORA! We are the hottest new all female Mardi Gras Krewe right outside of New Orleans, parading in Jefferson Parish for the fourth time for the 2019-2020 season. We had an amazing ride in 2019, and we are ready to do it again. Grab your girls and join us today. 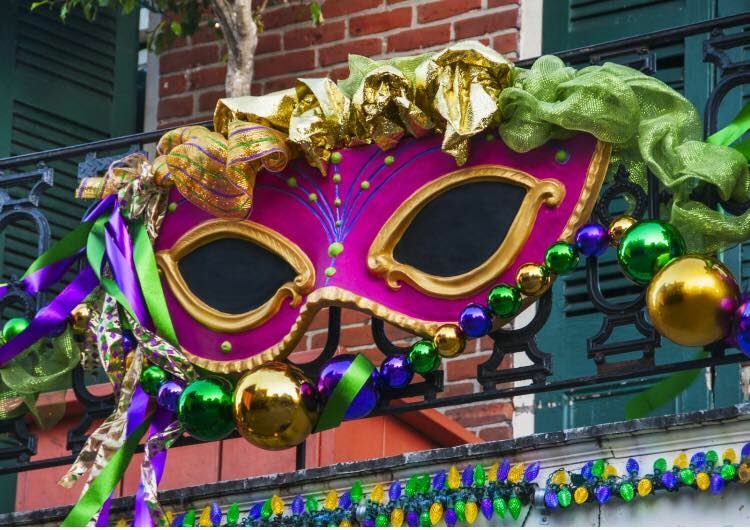 Share with your girlfriends who might be interested in joining the most elite, fun, friendly, and engaging group of women in Jefferson Parish Mardi Gras! © 2016 - 2019 Krewe of Pandora. All Rights Reserved.